Martial arts can change your life in 48s, if you let it. Yes it was the 48s of the Nunes vs Rousey fight that I had on my mind when I wrote this post title. Images and commentary about the much publicized fight were all over social media and got me thinking about how much life can change in a single moment. Even a moment lasting less than 60s. Although MMA is currently the top draw card in the popular press when people think of martial arts, it is not what lead me to practice my art. Yes, martial arts is fundamentally about fighting. However in a traditional martial art it’s about using your body as a weapon while also honoring it as a vessel for enlightenment. Respect, self-discipline, control and increased self-awareness are an integral part of a traditional martial arts journey. Every person who practices a martial art has their own reasons for doing so and has their own expectations. The teacher and school where you choose to receive your martial arts instruction will set the tone for your training. Finding a school that matches your martial arts world view is what sets you on the path of your martial arts journey. It’s the moment that you make that decision, which usually happens in the blink of an eye that can change your life… if you let it. I’ve seen all types make the decision to start but only a special few allow martial arts to change their lives. It’s not just about training, it’s a way of life and when committed, it will change the way you make decisions about the things you prioritize. 3. Helping others also helps you. Whatever your chosen art, embrace it and enjoy the journey. 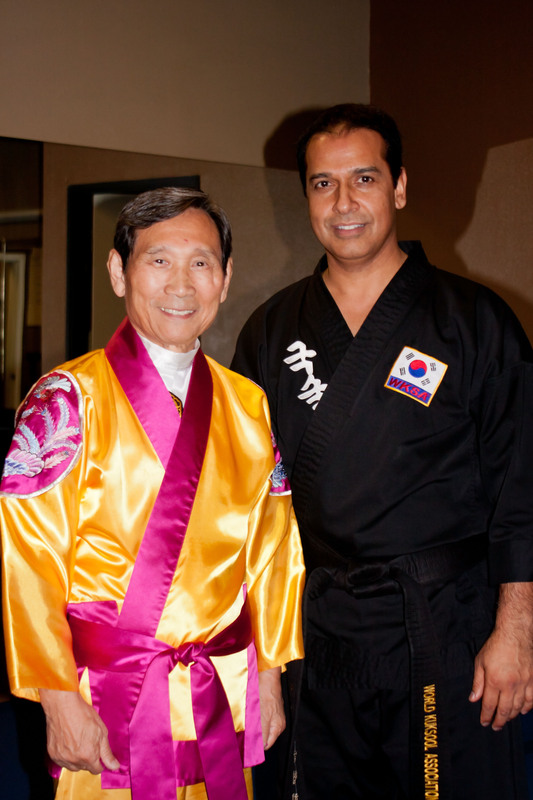 The Grand Master and founder of Kuk Sool Won, In Hyuk Suh, has a saying that has become ingrained in mind “With patience and perseverance all things are possible.” His other well known saying is “We need more practice!” and I know for sure that it applies to me. February 16 was President’s Day so there was no class. My training buddy sent me a text to confirm that the school was closed. I expect she was feeling the withdrawal symptoms too. We had such a great training session last week and we were both starting to feel a bit more confident about our forms. Master Saidi had given us some extra pointers and demonstrated how the form movements pertain to a conflict situation so that we visualise the applications. We repeated our forms side by side and it felt really awesome to see the flow of movements conducted in unison. We had also had some falling practice with one of the higher ranked belts, a blue stripe, which made the techniques look a lot more impressive. It’s amazing how being observed adds a layer of pressure and thankfully we got through ok. Patience is certainly a necessary virtue when learning martial arts. I couldn’t recall when last I had to try and roll. In my experience it’s not a movement that the average adult gets to do very often. Master Saidi made it look so easy “Just roll on your shoulder not your head!” Fear gripped me again. My inner ear issues made me susceptible to vertigo and I wanted to be sure that I could get back up again after rolling. “Perhaps you should practice at home” I was jokingly told. Well it was now or never I figured – one of those situations again where you feel the fear but do it anyway – so I did! Now that we would be going to tournament we also needed to get patches for our doboks. The patches certainly add a touch of flare to the already intimidating black uniform. I am rather excited about getting mine – it will feel like an outward sign connecting me to the ancient traditions of this martial arts system. Tournament is approaching and we have special training sessions to help us iron out all the errors and increase our confidence. I am planning to attend every single one of them! I need more practice! Disclaimer: The views expressed here are solely those of the author in her private capacity and do not in any way represent the views of Master Saidi or that of the World Kuk Sool Association.